If you can’t be bothered to read my blog because you spend all your time at this site, then this is the fruit for you! 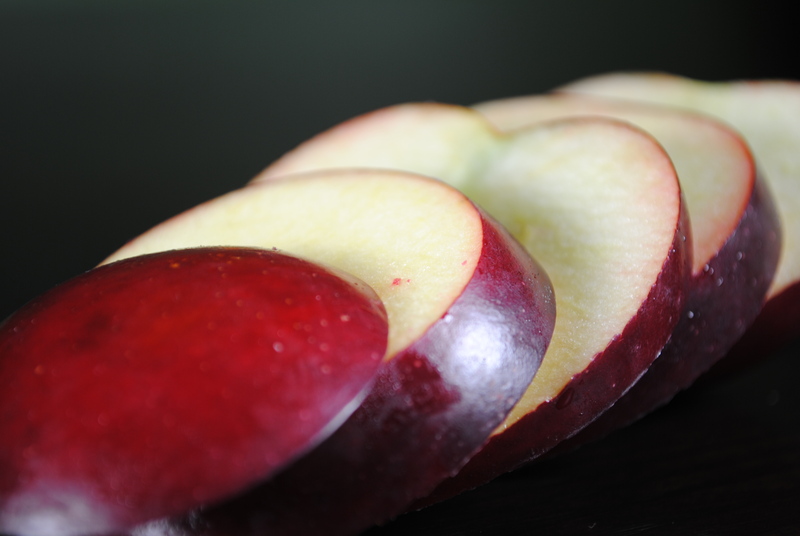 This apple goes just a hair past crunchy and crispy and jumps right in to hard. Has dense flesh with medium juice. On the moderately tart side but with great balancing sweet notes. I really like this apple. 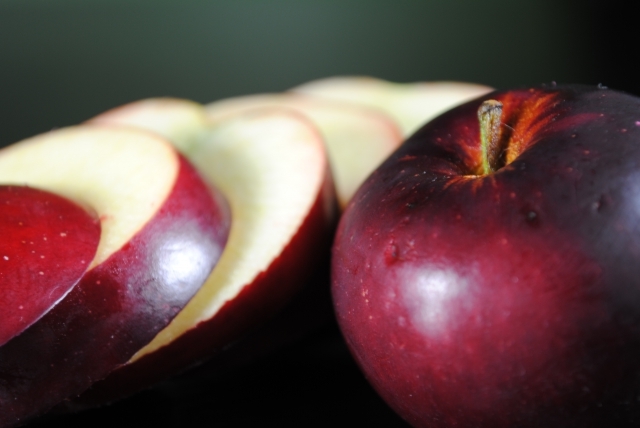 It has a rich, complicated, tart and sweet flavor that makes most other apples seem shallow in comparison. Though some might balk at it, I love how hard it is and that it is not overly juicy. Not five minutes after I tasted this one I was eating it in thin slices on top of melted cheddar cheese and toast. To die for. In fact, why am I typing and not eating that. Why? Will remedy that now. I found these apples a few weeks ago when I passed a sign on the side of the road in Oak Glen that said “Arkansas Blaks”. Lucky for me the woman was a better farmer than she was a speller. In other interesting news, this apple originated in Bentonville, Arkansas, which also just happens to be the home of Walmart, so perhaps that connection explains some things. 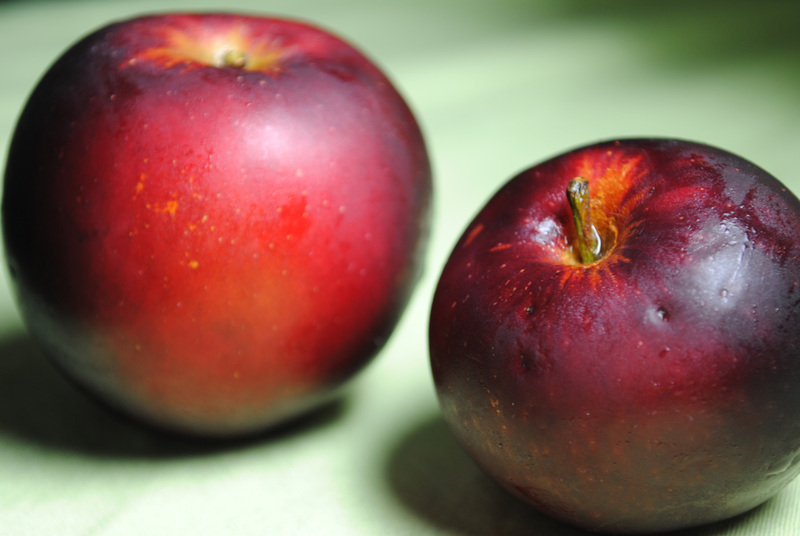 I served these to my husband – a man who is generally uninterested in fruit of any sort. To my delight he asked for seconds, and proclaimed the Arkansas Black to be the best apple he’s ever had. That’s worth 5 stars to me! love, love Arkansas Blacks just my kind of apples, the second best thing to come out of Arkansas, the first is my husband Dan. Best apple ever, and impossible to find. I even wrote to growers in AR to get a case, but they were small and inferior. Arkansas Blacks are my Holy Grail apple.